Buy online our clothing and fashion fabric Fiocchetto Decoupè Bt3-03. Jacquard fabric with stylized mini gala pattern, original and unusual in red and pink on a beige base, for dress, jacket, duster. 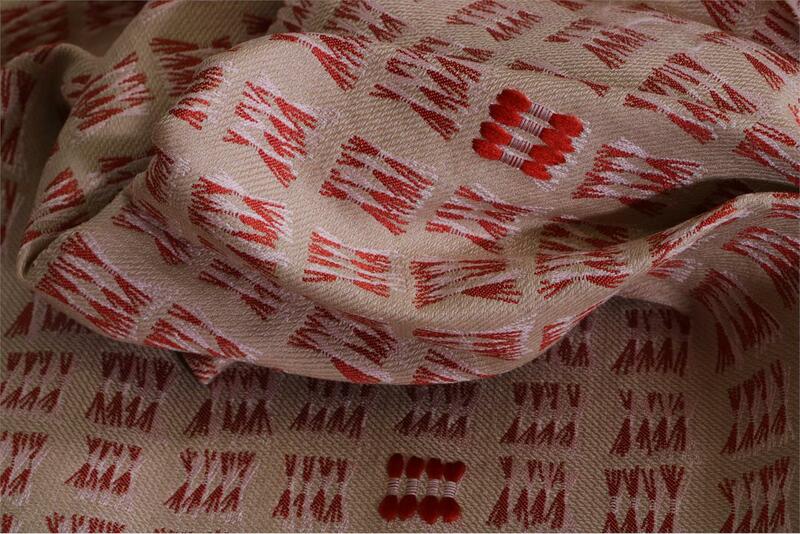 Beige, Pink, Red Mixed Illustrated Jacquard fabric for Dress, Jacket, Light Coat.